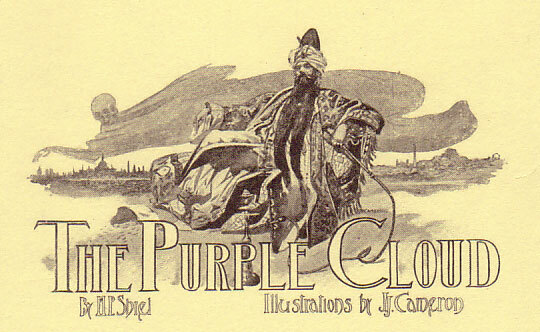 The Purple Cloud is a Dystopian "man-alone" story about a highly sought-after adventure to be the first to the North Pole, published as a serial in 1901. 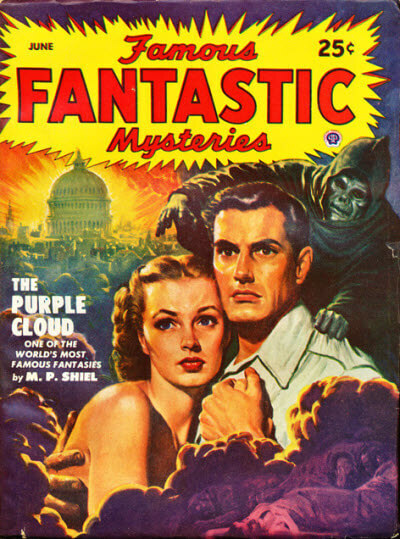 It was praised by both H.G. Wells and H.P. Lovecraft. The Sibyllian Oracles referenced in the book's epigram are apocalyptic predictions, with themes similar to the Book of Revelation and other apocalyptic literature. "estai kai Samos ammos, eseitai Daelos adaelos"
Return to the M.P. Shiel library.